"LET SCIENCE SPEAK" is a six-part digital short documentary series about the importance of science in our ever-evolving world. Through intimate storytelling, "LET SCIENCE SPEAK" highlights not only what is at risk for our lives, our country and our planet when science is under attack, but what that means for the humans behind the research, and the people behind the facts. The series goes beyond the "War on Science" headlines to humanize environmental scientists, illustrating how their work is intrinsically connected to personal values that many Americans hold dear, including innovation, health, faith, civic duty, class, race, and family. Dr. Katharine Hayhoe, an evangelical Christian and Director of the Climate Science Center at Texas Tech University, explores the intersection of science and faith. Dr. Marshall Shepherd, Director of Atmospheric Sciences at the University of Georgia and host for The Weather Channel, reveals why science is the glue that holds communities together. Dr. Dawn Wright, a deep sea explorer and Chief Scientist at Esri, bridges the worlds between science and industry. Additional episodes feature Dr. Johnathan Foley of the California Academy of Sciences, Dr. Jacqueline Gill of the University of Maine, and Dr. Alan Townsend, Provost of Colorado College. "LET SCIENCE SPEAK" will premiere during the 2018 Tribeca TV Festival on September 20 and will be available to watch at letsciencespeak.com. A panel discussion will follow the premiere screening featuring environmental journalist Andy Revkin, Congressman Bill Foster (the only PhD physicist in Congress), scientists Dr. Jonathan Foley and Dr. Alan Townsend, series creator Christine Arena, and co-director Adam Warmington. 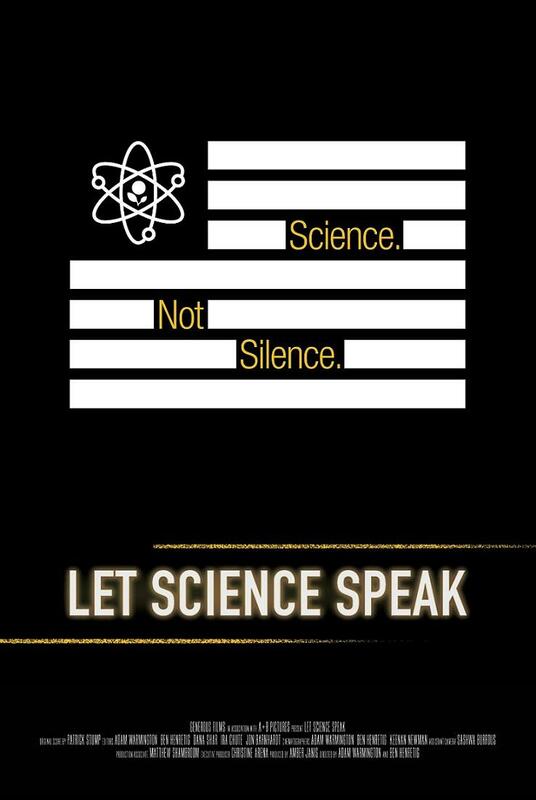 "LET SCIENCE SPEAK" was created and executive produced by Christine Arena. Produced by Amber Janis. Adam Warmington and Ben Henretig co-directs. Original score by Patrick Stump and Cinematographers are Warmington, Henretig and Keenan Newman.